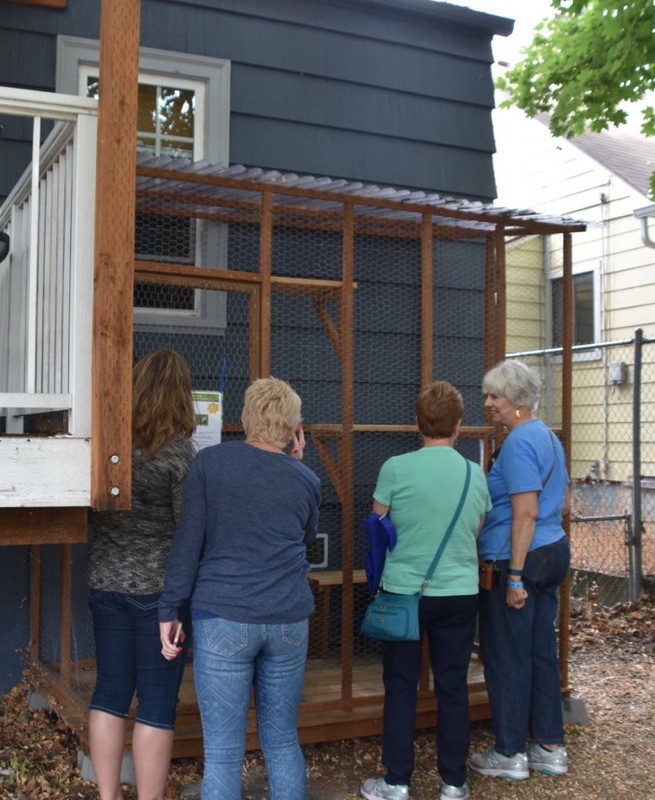 A ten catio tour in Portland, Oregon Saturday drew a thousand people according to a KATU2 News report. The video below, which is well worth watching, makes clear that catios protect both wildlife from cats and cats from many outdoor hazards. The tour is sponsored by Cats Safe at Home, a coalition of the Audubon Society of Portland, Feral Cat Coalition of Oregon, Washington County Animal Services, and Multnomah County Animal Services. You can also view photos of the event on Facebook and buy the 2018 Catio Tour guidebook for inspiration. The amazing turnout is further evidence that efforts to educate feline pet owners about the benefits of outdoor enclosures is working.